Today in Tech News Digest, Google Glass gets prescription lenses, Chrome apps come to iOS and Android, Netflix prepares to invade mainland Europe, the Netherlands overturns its block on The Pirate Bay, Lego comes to your browser thanks to Build With Chrome, and Prince gets his purple knickers in a twist. 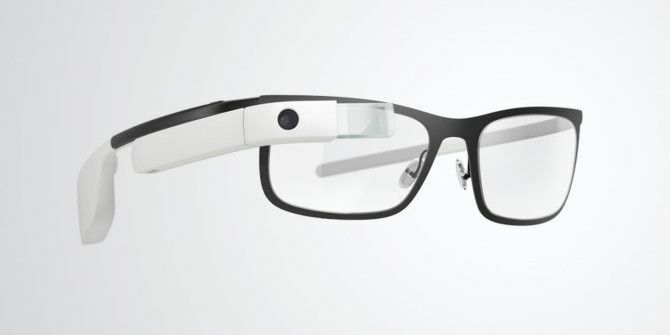 Google has revealed the Titanium Collection, a quartet of frames which can be paired with its wearable Glass headsets. The four distinct frames are designed to appeal to different aeshetic sensibilities. All are made from titanium, are thin and light, and cost $225 apiece. Crucially, they’re all also designed to seamlessly meld with Google Glass. Google’s plan to allow prescription lenses to be used with Glass was leaked in November 2013 Google Glass Prescriptions, 3D Guns Banned, Android Buyers Guide [Tech News Digest] Google Glass Prescriptions, 3D Guns Banned, Android Buyers Guide [Tech News Digest] Prescription lenses for Google Glass, Xbox One succeeds and fails, Flickr Photo Books arrive, Turntable.fm is shuttered, Place Pins for Pinterest, Philadelphia bans 3D guns, and Eric Schmidt helps out unhappy iPhone users. Read More when it was revealed the company was in talks with VSP Global. This report proved to be partly accurate, though Google has designed the frames itself rather than entrust the job to an outside company. VSP, a U.S. healthcare provider, will subsidize the cost of the frames and prescription lenses. Of course, if you can afford the $1,500 asking price for Google Glass What The Internet Really Thinks Of Google Glass [Weird & Wonderful Web] What The Internet Really Thinks Of Google Glass [Weird & Wonderful Web] This week in Weird & Wonderful Web, we take a look at what the Internet really thinks of Google Glass. Some people are in love with this futuristic device, others hate it. What about you? Read More itself then the cost of the prescription lenses likely won’t trouble you. Chrome Apps can now be ported to iOS and Android, the two most popular smartphone operating systems. Google has released a developer preview of the Apache Cordova toolchain which can be used to wrap the HTML5 What Is HTML5, And How Does It Change The Way I Browse? [MakeUseOf Explains] What Is HTML5, And How Does It Change The Way I Browse? [MakeUseOf Explains] Over the past few years, you may have heard the term HTML5 every once in a while. Whether you know anything about web development or not, the concept can be somewhat nebulous and confusing. Obviously,... Read More -based apps in native Android and iOS code. Writing on the Chromium Blog, Google software engineer Andrew Grieve explained that the toolchain provides “a simple workflow for extending the reach of Chrome Apps to users on mobile platforms,” but with this being just a developer preview Google hopes to “continually improve it based on … feedback.” In other words, don’t expect miracles. 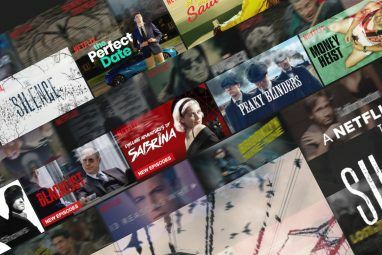 Netflix is preparing to bring its online video streaming service to mainland Europe, with a push initially into France and Germany. According to The Wall Street Journal, the company is busy negotiating for the rights to stream in those two countries, as well as other unnamed territories. Netflix CEO Reed Hastings suggested as much in a recent letter [No Longer Available] to shareholders, saying, “We plan later this year to embark on a substantial European expansion.” However, this is the first strong suggestion of which countries are going to be targeted. Internet Service Providers in the Netherlands have managed to get a block on The Pirate Bay dropped. The block has been enforced since 2012 when anti-piracy group BREIN brought a lawsuit against the ISPs. Fans of Lego can now put down their odd-shaped plastic bricks and instead build structures in their browsers. This is thanks to ‘Build With Chrome’, a new Web app that lets you build basic Lego structures using nothing but digital representations of the ubiquitous pimpled bricks. ‘Build With Chrome‘ started life a couple of years ago, but has now been made public in advance of the release of ‘The Lego Movie’ in February 2014. It’s an impressive app which lets you build structures, train using challenges, and explore other people’s creations. And all without risking accidentally standing on an errant brick. Prince is suing his fans for bootlegging his live performances. Meanwhile, Prince’s guitar is suing Prince for sexual harassment. And finally, Prince, the popstar who once renamed himself as a drawn squiggle, tried to sue 22 fans he accused of bootlegging his concerts. What they had actually done, as detailed by TechDirt, was to post links to supposed bootlegged recordings of a live gig using Blogger and Facebook. The purple-loving pop midget appears to have arbitrarily decided $1 million-per-person was fair recompense, despite this figure being grossly more than the law dictates for such an offense. The lawsuit was issued weeks ago, but within hours of it being made public Prince voluntarily dismissed it without prejudice. Almost as if he came to his senses. Explore more about: Google Glass, Netflix.